Fear is our enemy if we let it scare us or freeze us. It is our friend if we acknowledge it, deal with it, however we do not let it stop us from moving forward towards our positive goals, individually and globally. Remember that in one of my past posts, I said that we create our own fear. Some will be imposed and pressed on us as well. Do not give in to fear, as that would freeze us and stop us from living our lives! Get to know yourself, so that you can heal yourself as well as heal others! The conscious fears are very easy to spot, however, if the fear is unconscious, you cannot know what is stopping you, and how to get rid of it, as if you are not aware of it and recognize it, you cannot let it go. This workshop is a combination of scientific and non-scientific approaches to recognize that unconscious fear, so that you can let it go and move on to what you are capable of; professionally and personally. For this workshop you need to be ready to go deep enough and feel uncomfortable enough to let it shake your way of thinking and change old patterns that do not serve you anymore. The is a practical and theoretical workshop with unique approaches on dealing with your own fears. This can be passed on to your client as well. In this workshop we will look at the physical, emotional and mental impact of fears, stress and how they reflect your personal and professional life. How your fears can lead you to getting stuck and stopping you from moving forward. 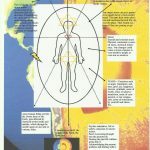 Connection between physical, chemical body, mind, emotional and auric fields. How can we empower ourselves and others to let go of our fears and reduce stress. In the practical, you work on one of your unconscious fears that has stopped you for reaching one of your goals. This is an approach that can be used with any goals. Practical on feeling your fears and dealing with them in a unique approach to make you a “FEARLESS” therapist to reach your goals and to help your client reach their goals! Practical on knowing what goal is best for you, understanding a way of achieving it. This workshop is led by Maria Esposito BSc (Hons) Nutritional Therapist – RCST. This has been designed with the combination of workshops that I have done with CST, books, my own healing, Healing workshops and, Life Coaching workshops, as well as my own clinical experiences on how to deal with emotional fears! A combination of 26 years in the complementary and scientific field. “I really enjoyed the day and lots of positives are emerging already! Venue: Hornsey Vale Community Centre. 90 Mayfield Road, London N8 9LP click here for map. Non-restricted parking outside the Centre and surrounding streets. From Finsbury Park take the W3 and stop at Weston Park stop downhill. 5 minutes walk from there. Price £ 85.00 paid in advanced. Payment via bank transfer: Maria Esposito TSB code 308472 account 24603860 or cheque (email Maria Esposito if want to make the payment in this way). Refund policy: There is no refund unless there is a waiting list or you supply a substitute for the workshop you booked. This is a true story about craniosacral treatments sessions which went beyond the scientific method of the physical, mental and emotional work, while having a powerful healing outcome. Worth reading to see what potential you have as a craniosacral therapist or any other type of therapist. Click here for paper copy of the book on amazon.com (you can order it even if out of stock, it will be printed and shipped as soon as you order it).